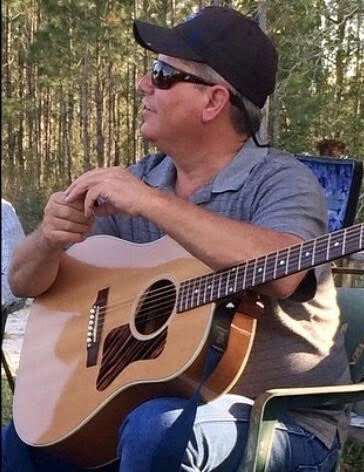 Mark Russell Stratton, age 56, of Oak Hill, died Friday, January 11, 2019. Born in Daytona Beach to Clyde Arthur and Murel Cantrell Stratton, Mark was a lifelong resident of this area. A safety and quality engineer for NASA contracts, Mark was a hard worker that enjoyed hunting, fishing, and playing the guitar and mandolin. He will be remembered as an excellent cook, a great friend, and most importantly, an exceptional father. He loved his girls more than anything in the whole wide world. Survivors include his 2 daughters, Cayla Powell and her husband, Brian, of Edgewater, and Ashlyn Stratton, of New Smyrna Beach; his father, Clyde Arthur; a brother, Rodney, of Oak Hill; a granddaughter, Vayda Powell; and a large extended family. He was preceded in death by his mother, Murel, and his grandparents. Funeral service will be 11:00 a.m., Tuesday, January 22, at Clinton Cemetery, Edgewater. Friends will be received from 4:00 p.m. until 7:00 p.m., Monday, January 21, at Settle-Wilder Funeral Home.